Alisson is remaining grounded as Liverpool look to hold off Manchester City in their pursuit of the Premier League title. The Reds’ goalkeeper is the latest to underline his side’s ‘one game at a time’ mentality by labelling Pep Guardiola’s reigning champions as current frontrunners. Liverpool’s lead at the top heading into Wednesday’s clash with Leicester could be at just one point if City can beat Newcastle on Tuesday evening. 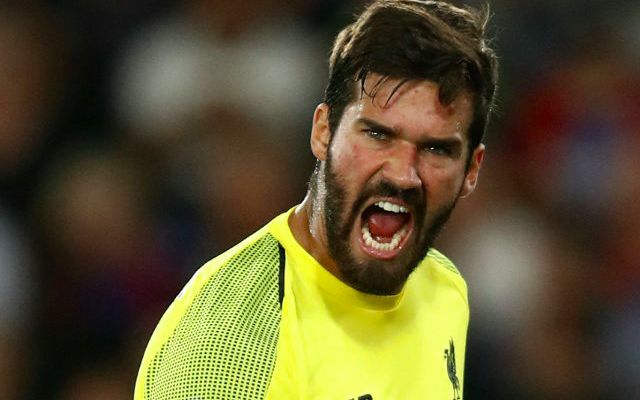 Discussing the title race, Alisson said: “Liverpool now have the quality to fight for the biggest trophies, there is no doubt about it,” per Goal. Liverpool are scheduled to host Leicester in midweek, before facing West Ham at the London Stadium on Monday February 4. A meeting with Bournemouth at Anfield will then be followed by the club’s Champions League Round of 16 first leg against Bayern Munich. Klopp’s men will face Manchester United at Old Trafford five days later and then finish the month at home to Watford. City meanwhile face a busy March, including matchups with Arsenal and Chelsea as well as a Champions League tie away to Schalke. They will also face Maurizio Sarri’s side again in the League Cup final on February 24.